Communication protocols SIP and H.323 were introduced to the world at around the same time but since their introductions, both have gone down very different paths. Simeon Barut investigates the differences between the two. In order to provide its services, internet telephony requires a set of communication protocols to establish a connection and manage conference control. Currently, two protocols exist to meet this need; H.323 and Session Initiation Protocol (SIP). Even though they’re created to achieve the same outcome, SIP and H.323 have a plethora of differences. Both were invented roughly at about the same time back in the mid 1990s and both are signalling protocols used for call management – establishing calls, managing mid-call features and call teardown. H.323 made itself known for being the first video communication protocol on the block along with having history and similarities with Integrated Services Digital Network (ISDN) and was ultimately developed by the International Telecommunication Union (ITU). “The telecommunication industry basically built H.323 as a mechanism to provide communications across IP networks, more specifically, video communications,” says Polycom alliance ecosystem manager Greg Walker. “A lot of traditional video systems use H.323 as their communication protocol and it’s at the point where it’s become a fallback protocol. It’s a lot more prevalent in legacy video communication systems, platforms and end points. As well as that, a lot of government deployments and institutions today still use H.323 and as you can imagine, these assets are quite old. Ultimately, there are a lot of systems out there that still use H.323 along with ISDN today, especially government agencies which are in the process of transformation. Due to this, it’s treated as a ‘traditional legacy protocol’ and the technology standards are very much set in stone. According to Greg, SIP is constantly evolving with multiple revisions and new software to accompany it. The current market is finding that a lot of time and development is being put into SIP to keep it evolving with the new generation of technology. “SIP was developed as an Internet Engineering Task Force (IETF) protocol and has been through a number of revisions so that it can keep up with developing technology. It’s become quite popular over recent years not only in video communications but also in unified communications like VoIP and IP Private Branch Exchanges (PBX),” Greg explains. “One of the interesting things about SIP is that there are a lot of variations of it. Different vendors have different extensions so even though it’s an open standard, there’s a little bit of proprietary-ness around it. Some conferencing capabilities can be quite difficult using the H.323 technology – such as transferring a call from one system to another – and that’s where SIP has really shined the most. SIP makes the transferring of calls to different platforms simple and also allows the user to do things like call forking; having the user’s desk phone ring at the same time as their mobile phone. “SIP has a greater potential to evolve than H.323 because of its flexible nature but a lot of it relies on the different extensions vendors decide to put on it,” says Greg. “A good example is Microsoft with its Skype for Business platform as a lot of extensions that they’ve done are proprietary to Microsoft and a lot of other vendors do similar things. They all tend to support audio which is fairly open but when they want to provide enhanced capability, they’ll have a proprietary extension to it. This openness isn’t always a good thing, though, as the vastness of technologies, platforms and systems leaves customers asking questions with which protocol is the best to use for their situation and that leaves those deploying video conferencing as the most challenged. 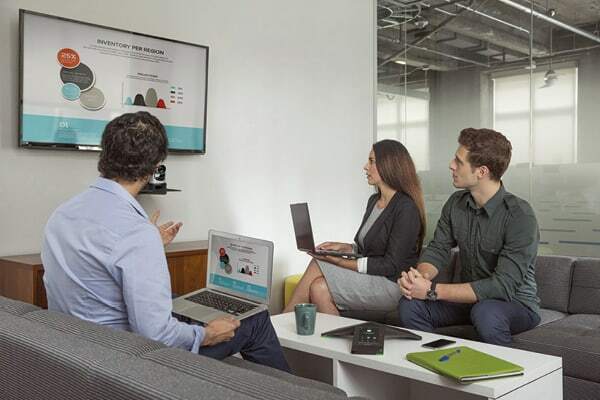 “When video conferencing is installed, the installers are tested by customers about ‘what do I need to be able to connect my video room to?’ how do I make a call to the outside world?’ and ‘what protocol am I going to use to be able to do all this?’ So for the installer, and companies like us, it’s not only about meeting those requirements, but also making sure people from the outside can connect and business-to-business communication is up to scratch,” Greg explains. “At this point in time, because of the options available to them, customers and their businesses are evaluating what their strategy is from a unified communications and video communications perspective. A lot of customers are in a predicament because they’re not sure what way they’re going to go because there’s so many options and finding the right solution can be confusing. When it comes to comparing both SIP and H.323, they both have their pros and cons. It’s quite evident that SIP is far superior for multimedia and conferencing, but it also addresses the media types that H.323 ignores and heavily interacts with the properties that have made the internet as prominent as it is today. However, for lowband connections, H.323 is always a solid option because it does what it needs and does it well, hence why it’s frequently used by government agencies. It also continues to work well for basic voice and video with the obvious downside of it not extending to support other media types. While there is no doubt that H.323 has a much smaller range of operation compared to SIP, many end users today still rely on H.323 because of its global footprint in older communications equipment. “From a futures perspective, it’s certainly SIP all the way but there is still certainly a place for both protocols, it just depends on the application and how vendors decide to interwork with each other,” Greg says.